Use the form below to inquire about Classic Hill Station Villa At Siyal Manali . Use the form below to reserve for Classic Hill Station Villa At Siyal Manali . These are spacious rooms with all amenities and lovely views. 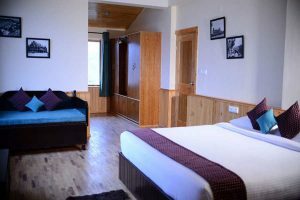 Air Conditioned Room, Hot and Cold Running Water, Intercom, Tea/Coffee Maker, TV with cable connection in each rooms. 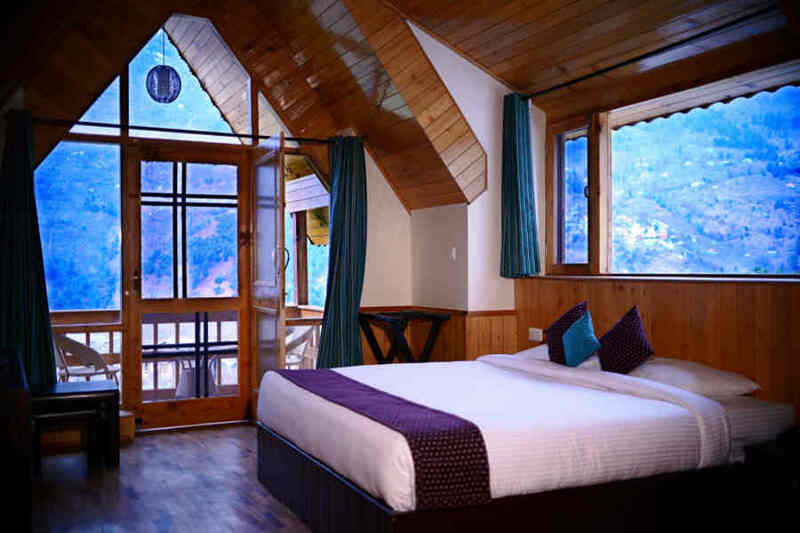 Detach yourself from worldly worries as you gaze upon the snow-capped peaks at this Classic Hill Station Villa At Siyal. 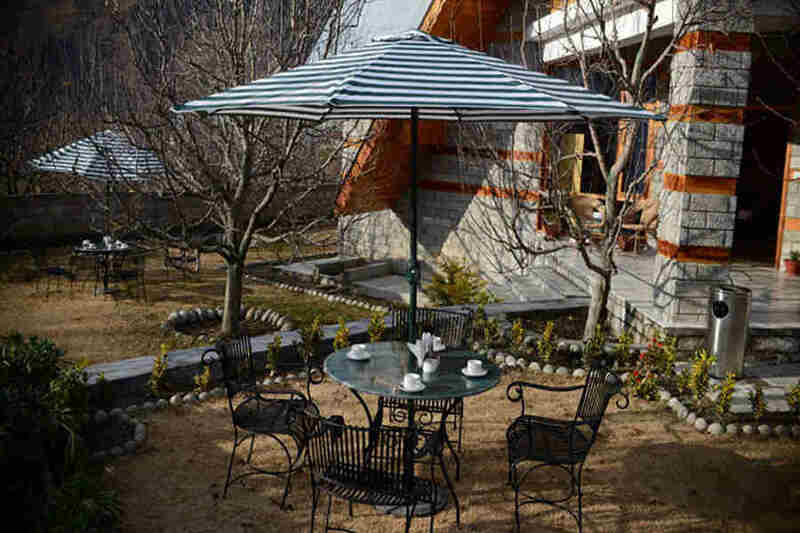 This Classic Hill Station Villa At Siyal is burrowed into picturesque apple orchards in a quaint hamlet close to Manali, also known as Himachal’s Silver Valley. The River Beas and its tributaries meander through this verdant valley giving a touch of tranquility to the region. Most of the attractions of the region are easily accessible from this idyllic retreat. 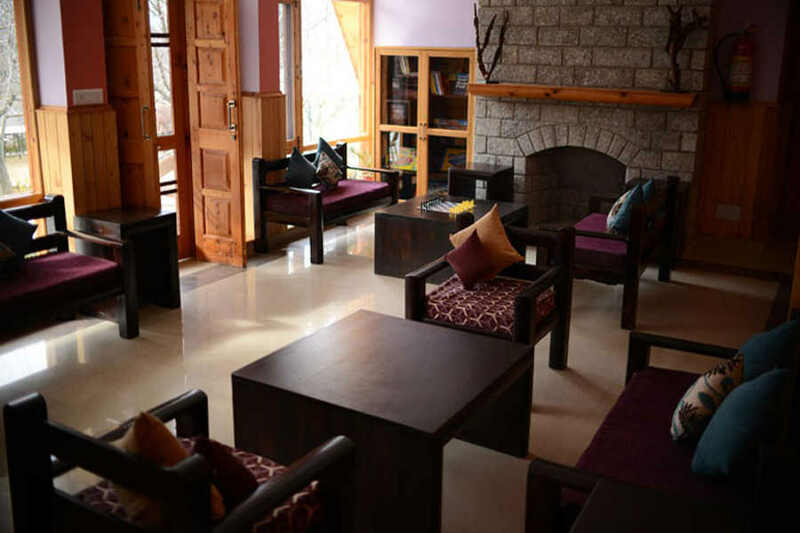 The Classic Hill Station Villa At Siyal, designed as a typical mountain lodge is built recently with wood and stone. Vantage viewpoints scattered across the building enable you to drink in the fantastic scenery at all times. From the airy sit-outs to the vast dining room windows and those in the bedrooms, no effort has been spared to ensure that you get to admire the natural beauty to the hilt. This Classic Hill Station Villa At Siyal offers a multi-cuisine menu for guests and you can choose to enjoy your meals either in the dining room or in the open air. 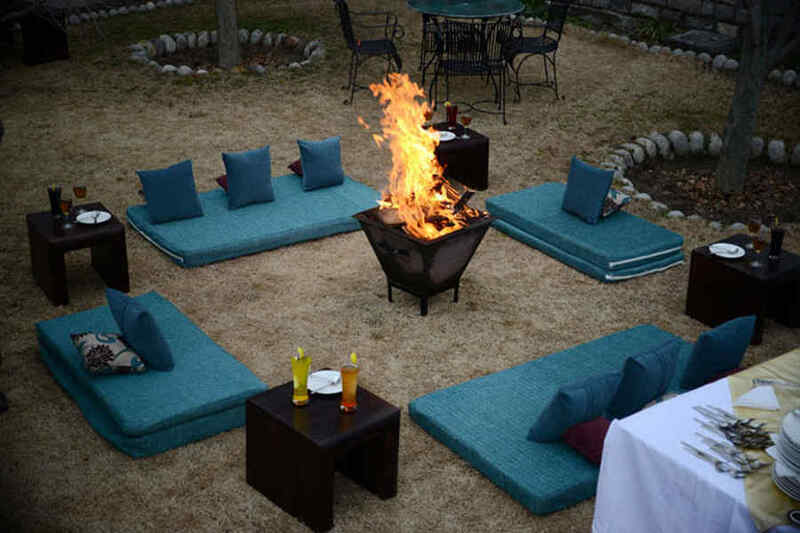 Choose from a range of spots scattered across the property and set up with elegant dining furniture to enhance the experience. Indian and Continental dishes are standard features on the menu. 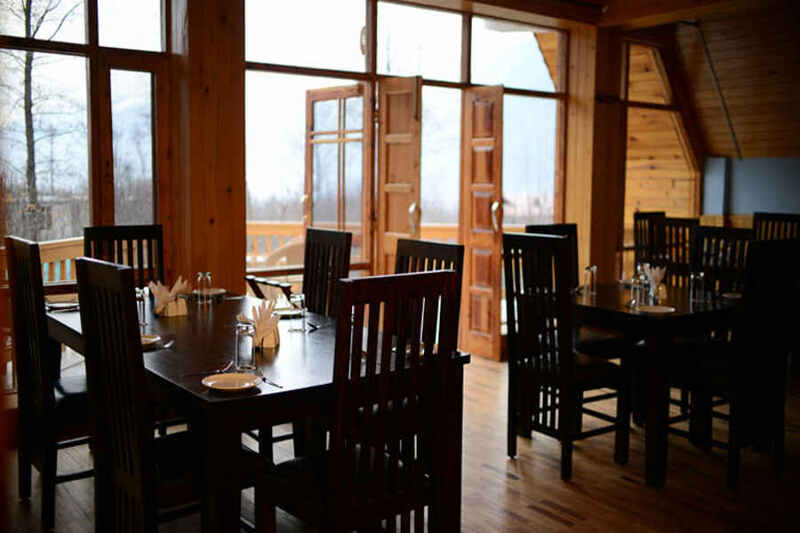 If you wish to sample some of the local Pahadi dishes, just have a quick chat with the chef. You will also get to know more about the history and ingredients used in the local cuisine. The Classic Hill Station Villa At Siyal has eight spacious rooms equipped will all modern amenities. The huge windows bring in sunlight and fresh air while the wooden furniture and elegant furnishings complete the picture of comfort and luxury. Gaze upon the mountains as you sip a hot beverage on the balcony. A villa that is sure to make you want to extend your stay for eternity! Lunch will be charged at INR 750 each. Besides unwinding in the company of nature, at the villa and its surrounding orchards, there are plenty of attractions in the vicinity. 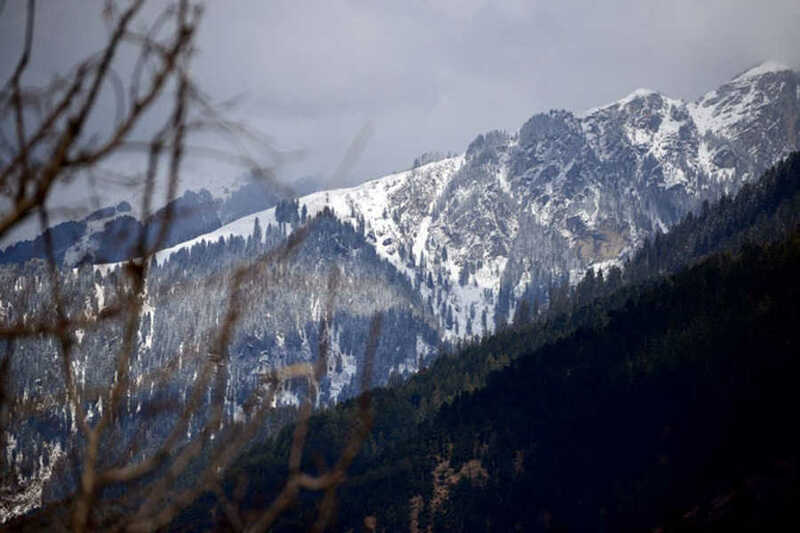 The Hadimba Devi Temple dating to the mid 16th century is just 2 km from the villa while the Gayatri Temple with intricate woodwork and a marble image of the deity is 7 km from Manali. 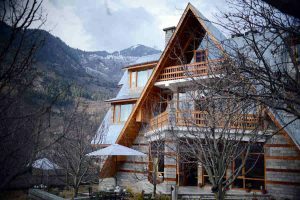 The stunning Solang Valley lies about 13 km from Manali and is a popular location for various adventure activities and winter sports such as parachuting, skiing, skating, paragliding, and zorbing. Katrain is where the apple orchards abound as well as trout hatcheries. Pandohu Dam over the River Beas is about 10 km from Manali and is used for hydro electricity. The hotel management can also make arrangements for hikes of varying durations as well as camping. You can also go on a village walk to get a peek into the rural life and customs of the region. You can try river rafting on the rapids of River Beas near Kullu if that is your cup of tea. Bhuntar Airport in Kullu is the nearest at 53 km from Siyal. Shimla airport is at a distance of 257 km while Chandigarh Airport is 314 km away. Indira Gandhi International Airport, New Delhi, is 555 km away. Jogindernagar Railway Station is the nearest at 165 km while Shimla railways station is 248 km away. New Delhi Railway Station is at a distance of 552 km. Naggar town is the nearest at 20 km while Kullu town is at 43 km via NH3. Dharamshala is 237 km away along NH154 and NH3 while New Delhi 555 km away via NH44.